During the past year, we have been preaching/teaching in the book of 1 Corinthians 1. We now come to the latter part of 1 Corinthians 14, in which Paul discusses corporate worship. His theme is orderly worship. Remember, in 1 Corinthians 12, he stressed the importance of the spiritual gifts that are given to each believer. He used the metaphor of the body, noting that each individual believer is a part of Christ's body. We are noble creatures individually. But that nobility is enhanced as we come together in the community of faith, each of us having an essential contributory part. There is a synergism in which the whole body becomes much greater than the separate functioning of the individual parts. Then you remember how Paul quickly shifted gears to stress the temporal nature of these gifts and the importance that all of our religious activity, in fact all of our life existence, be undergirded by agape love. So, we've noted that 1 Corinthians 13 was not intended primarily to be read at weddings but to underline the importance of living a life motivated by agape love. In it, the Apostle Paul stresses the incompleteness of our human existence, encouraging us to know that some day that which is now incomplete will be fulfilled when we will know as we are now known by Jesus Christ. We also are humbled by his reminder that we now see in a mirror dimly. But when we are in heaven, we will see clearly that which is of puzzlement in this life. In our last message, we saw how he took the controversial matter of the gift of tongues, which was prioritized by some Corinthian Christians as the ultimate evidence of spirituality, and fit it into its place as one of the valid gifts, yet lesser in importance. He prioritized the spiritual gift of prophecy, the forth-telling of God's truth. Now he reemphasizes that as he concludes this teaching about gifts with a discussion of corporate worship. Now, let's address the theme orderly worship. It's a healthy theme with which to begin this new program year. It's appropriate to stop and contemplate worship. As Paul speaks to the specific situation confronting the Corinthian church, he evidences several qualities that must mark corporate worship, whether it be of the first century or our worship some two thousand years later. Five overlapping words emerge from this passage of Scripture. Let's take them seriously! Worship is not something that happens by accident. It's intentional in nature. We are instructed to neglect not the assembling of ourselves together. Individualism in spiritual matters is a dead end. Growth comes by being in relationship with brothers and sisters in Jesus Christ. A week ago Friday, I was on one of those small commuter airplanes flying from Seattle to Calgary to attend a triennial joint meeting of the boards of World Vision, Canada, Mexico and the United States. Seated beside me was a dynamic young business woman returning to her home town. She noted my World Vision emblem on my blue denim button-down shirt, and she said, "World Vision — that's a great organization. I have been sponsoring a child for quite some time!" After listening to her talk a bit about her sponsored child, I asked her if she was involved in any church in Calgary. Her quick response was, "Oh, no. I don't really have time for that. I'm a deeply spiritual person. I pray often, and I really try to live a good, moral life." I felt so sad for her. Here's a person who constantly attends real estate seminars. She's engaged in all kinds of motivational group exercises to excel in her field. Calgary is a hot real estate market. As much as she said she'd like to move to Southern California, you can make much better money there in Calgary. But what she had failed to do in all her life assessments was to realize that you can't go it alone in the Christian faith. Paul writes, "What should be done then, my friends? When you come together. . ." (1 Corinthians 14:26). There is something essential about us gathering as friends, fellow followers of Jesus Christ, members of the family of God. Research shows that many Americans are much like the young woman I met on the airplane. They identify themselves as Christians, or at least as "very spiritual." A much smaller percentage regularly attend worship. In my travels, I meet many persons who are quick to acknowledge that they are Christians. They are just as up-front with the fact that they very seldom go to church. They express the notion that they are able to receive much greater inspiration from some recreational pursuit than they receive from attending a service of worship. What they've lost is the intentional nature of our coming together. I'll be the first to admit that some of my most significant spiritual experiences have happened between God and me in a solitary place apart from other Christians. However, the more I muse about what happened in that private moment, I am aware that it would have been impossible without that coming together that had nurtured me to the point that I had the understanding of what was happening in that private moment of spiritual breakthrough. My knowledge of God and His revelation of himself in Jesus Christ did not come out of the background of privatism. It came out of Christian community, both of the home and of the church. That's why we take infant baptism so seriously here at St. Andrew's. There is a spiritual developmental process in which even infants are born into families. Those same infants are most privileged if they are born into a community of faith that nurtures them with the means of God's grace, surrounding them with prayer, love, affirmation, example and teaching. This hopefully enables them at some future moment to declare as an adult the understanding of what it is about to claim their own individual faith in Jesus Christ. This nurture happens in community. There is intentionality to it. This is why I urge you, as you travel on both business and travel, to not take a vacation from God's people. As you travel, be faithful in worship. Plan it now. Function with intentionality, not only here in our sanctuary at St. Andrew's. Some of the greatest spiritual growth experiences of my life have come when I have worshiped in other environments with brothers and sisters in Jesus Christ, whether it be in a small chapel at Lake Arrowhead, in a Scottish kirk, with sugarcane cutters on a mountainside in Ethiopia at 11,000 feet, in a lepers' chapel outside of Taipei, Taiwan, in a living room of a foreign service worker's home in Kabul, Afghanistan, in a Baptist church in Moscow, Russia, or in a China Christian Council church in Beijing, China. I could go on reviewing for you and for myself both the intentionality of seeking out a place to gather with other believers wherever I've traveled and, in addition, could report to you the very positive impact of that worship, both for me individually and even in the lives of those brothers and sisters with which I shared. It is not by accident that the church is established. You and I are privileged to come with our knowledge of God and our sense of connection with others in a way that carries on strategic corporate service for Jesus Christ. In our coming together, we are privileged to bear one another's burdens as well as to pool our resources in concentrated mission. These and many other intentional happenings are the result of our willingness to come together. As we come together, each of us has something to bring. The purpose is the strengthening of the family. The building of the church is the result. We saw this back in the early 1980s as the physical structure of our then new facilities were built. The sanctuary in which we worship, the educational buildings, the administrative building with its chapel, the remodeling of Dierenfield Hall, the tearing down of ten homes on Clay Street was not an individual effort. It was a corporate effort. The design, funding, the city approvals, the actual building of these facilities that have been so essential for our ministry these past twenty-two years didn't happen by rugged individualism. No one person could have done this. It took all of us in our sacrificial involvements to see this happen. And our last eleven years of efforts to enhance our facilities for ministry, which have been frustrated by community opposition, will only come to the right fruition, the right plan, God's plan, by continuing corporate engagement together. It has taken and will take all of us in our sacrificial involvements to pass on to the next generation the facilities that will best minister to the future generations but, at the same time, being fair to our neighbors whom we're called to serve. The same is true in terms of the spiritual ministries of the church. One of our great Presbyterian Reformation principles is that of the priesthood of the believers. You are a priest to me. I am a priest to you. You minister as much to me as I do to you. Paul writes, ". . . When you come together, each one has a hymn, a lesson, a revelation, a tongue, or an interpretation. . ." (1 Corinthians 14:26). Have you ever thought of it in this way? You are called to be involved. You are not just a spectator. Right now, we need persons who will teach both in our Sunday school and our weekday activities. There's a place for you to be a participant in this ministry. I hope that you will give it your prayerful consideration. You are needed. You are essential. Think back in your life. If you were privileged to be raised in a church environment, how many sermons can you remember? Please don't answer. It would be embarrassing for me to know. I do know that you can remember a Sunday school teacher or two or three who loved you in the name of Jesus Christ and provided a secure place in your memory. You can remember that pastor or youth leader who showed special interest in you at a time of need, giving the right word of counsel and encouragement. When you wandered away from the Lord, that godly influence, that love, that simple care, even presented in some cases with lack of eloquence and pedagogical gifts, now stands out in your memory as a secure place because of that person's participation in the ministry of the Gospel of Jesus Christ. I could go on and mention many other places of participation within the worshiping community. There are the covenant groups. If you're not part of one, become part of one. Hundreds of us meet each week on a regular basis to share with each other our insights from the Scriptures, to listen to each other as we share our daily needs and to pray for each other. That's participation in a worshiping community. Thanksgiving and praise are to be the major elements in our singing. It is possible to give thanks and praise God individually but if any congregation took time to let everyone do that, it would take all day. . . . Singing is something we can do together. So through the ages the believers in God both of the Old and New Testament have sung their praises and thanksgiving. . . . It is the reason we should be careful not to sing in a desultory manner. There is nothing more conducive to dullness in a service than half-hearted singing. So the exhortation here is most appropriate. "O, come, let us sing to the Lord: let us make a joyful noise to the rock of our salvation." Each one has a hymn that we can sing. Each one of us has a word we can say for the Lord. Each one of us has a truth to share with another. Each one of us may have a significant experience in our own private worship this week that would be of encouragement to another brother or sister in Jesus Christ. Part of our worship experience is in the plaza. Thank God for the plaza, where we gather between services, where we touch each other, where we feel with each other as brothers and sisters in the family of God. This is participation! Paul writes, ". . . Let all things be done for building up" (1 Corinthians 14:26). Other translations use the word edification. This instruction covers every aspect of public worship and Christian public gathering. It is the great and important motive for Christian service. Edification is a word that has largely lost its meaning for contemporary expression. It sounds a bit sanctimonious and unctuous. It simply suggests constructiveness in the best sense of that word. Edification means the building up of the church. It involves whatever is healthful. This is why Paul, who himself believed in the gift of tongues and practiced glossolalia, emphasizes so strongly that this is the least of the spiritual gifts. It is edifying for a person in one's own spiritual devotional life. But unless there is an interpreter present who can translate that foreign language into a meaningful expression to the rest of the persons gathered in worship, our time in corporate worship is being wasted. Come into the worship environment with something for others. It may be a smile. It may be a prayer. It may be a word of encouragement. It may be a hug. It may be a welcome. It may be going out of your way and out of your own normal circle of friends to see a person who is alone during the coffee hour. That is edification. That is constructive. That builds up the body! Come also prepared to receive. Come with a sense of expectancy. Come claiming something from God. It will build you up. It may not be the expected. Don't come into the sanctuary expecting to be entertained. I'm not saying that humor cannot edify. It can. I'm afraid that something has happened in the expectation of people when it comes to teaching and preaching during the past several decades here in the United States. Too often, the expectation we put on the preacher and teacher is that he be funny, that she be amusing. How many times I've heard someone say, "Wasn't that a great message. He was really funny, wasn't he?" Then you ask what was said to build up one's life spiritually, and you get a vacant look. I struggle with this every week. I want to be liked by you. I want to be listened to by you. I want to minister to you in a way that edifies, constructively builds up. I don't want to be a bore. I would love every Sunday to tell some real emotional story that makes you feel good or brings tears to your eyes. Sometimes I do. I have a file filled with such illustrations. And I have various books filled with jokes and funny stories. But there is more to edification that just making people feel good. There are words of challenge. There are words of rebuke. There are words of teaching on topics that may seem somewhat obtuse. A few weeks ago we had a perfect example. We came to the passage dealing with prophecy and tongues. It happened to be the weekend of the fifth anniversary of 9/11. I was tempted to preach a topical sermon on that theme, addressing our national loss, calling us to a patriotic resistance to terrorism at home and abroad. Somehow, the Holy Spirit said to me, "Move on in 1 Corinthians." Three observable things happened. One, I could see that some of you were disappointed that it was not a patriotic service of remembrance. There is a place for that, and I apologize if that was your expectation. I received some emails and phone calls the following week protesting my failure in that regard. Two, some of you commented at the door that it was heavy going for you, although you learned something about the gifts of the Spirit, especially the juxtaposing of the gift of tongues as the lessor of the gifts and the forthtelling of the Word to be the highest. To learn is to be built up. That's edification. Others of you said that you had never heard me address the topic of tongues and that you found it very helpful. Some of you wrote letters of appreciation, describing your own experience of worship in churches that abused the gift of tongues, providing a worship experience that was at the least puzzling and at the most chaotic. One in particular mentioned to me at the door that her father had been raised in the Assemblies of God church, was a godly leader in that church, which at that time thought that the gift of tongues was normative for all believers and questioned his spirituality, because he did not have that particular gift. Yet, she said her father led more people to faith in Jesus Christ than any other lay person in that church. Three, I was reminded by something that happened on one other occasion when I addressed this whole topic of tongues in a similar fashion. This was some years ago. One of our custodians happened to be working on close to the loudspeaker system that enabled him to hear the sermon. He had been raised in a Pentecostal background where he was taught that if you did not have the gift of tongues you were not a Christian. He wanted to know God's love and forgiveness through Jesus Christ, yet he somehow didn't have the gift of tongues. He prayed for it by the hour. Others prayed over him to have this gift. But the biggest smile I've ever seen on a man was when he said to me, "Last Sunday liberated me! Now I know that I am a Christian, and there is nothing wrong with me because I can't speak in tongues. It's okay for others. If God wants to give me that gift, wonderful. But I'm not going to waste my time trying to get something that, to this point, God has not chosen to give me." Let me add a footnote to this theme of edification. Our newspapers are carrying accounts of the politicization of some American pulpits. On the left of the political spectrum is the allegation that a preacher misused the pulpit of All Saints Episcopal Church in Pasadena to attack the President of the United States and to rally partisan support for the agenda of the Democratic Party. What appears to be punitive action is being taken by conservatives who are in positions of political power that, if successful, would cause that church to lose its tax-exempt status. At the other extreme are the recent actions of James Dobson and the Focus on the Family efforts to further a conservative, pro-family agenda, working to elect candidates of the Republication Party. Yesterday's L.A. Times had an in-depth article about these efforts. The leader of a political action group of the left is suing to silence Dobson in his efforts, using the threat of the loss of tax-exempt status for his organization and any churches that would work with that agenda. And this morning's paper reports that yesterday at that conference Jerry Falwell made a statement that the Republicans would have an easier time defeating Hillary Clinton for president than if Satan himself ran. St. Andrew's has officially taken a position that it is against our church policy to hand out partisan political materials on campus. In the last presidential election, some churches had a voter guide with questions of a theological nature that, if answered biblically, would have pointed to the reelection of President Bush. The National Council of Churches had a similar voter guide questionnaire with carefully selected questions that, if answered theologically correctly, would have pointed to the election of John Kerry. In defiance of church policy, both lists were circulated before and after church services here in our plaza. As I studied the two lists, I myself would have liked to have put the questions together in alternate sequence, because both lists raised the right questions to be asked of thinking Christians. Such a list would have been challenging and perplexing. As your pastor, I would have urged you to pray over each of the questions and then ask the Holy Spirit to help you vote christianly, realizing no one political party has all the answers. As we come into this political season, part of my responsibility to edify and build you up is to urge you to take seriously your citizenship. Think deeply on the issues of our day. Defend the right of all political opinions to be expressed in a free society. Let's not try to silence the voices of political action. That's the great privilege we have of living in a free society. At the same time, let's endeavor to think christianly in a way that goes beyond the simplistic assertions of any political action group that is working on behalf of any one political candidate or any one political party. Jesus Christ is Lord of all, and part of the job of your pastors is to encourage you to exercise your right of franchise as one whose conscience and actions are guided by the Holy Spirit. This may result in two people who love Jesus Christ voting for opposite candidates, belonging to different political parties, but hopefully espousing God's agenda that involves both personal morality and societal justice. We are here in worship to be nurtured, built up. A churchgoer wrote a letter to the editor of a newspaper and complained that it made no sense to go to church every Sunday. "I've gone for 30 years now," he wrote, "and in that time I have heard something like 3,000 sermons. But for the life of me, I can't remember a single one of them. So, I think I'm wasting my time and the pastors are wasting theirs by giving sermons at all." "I've been married for 30 years now. In that time my wife has cooked some 32,000 meals. But, for the life of me, I cannot recall the entire menu for a single one of those meals. But I do know this. They all nourished and gave me the strength I needed to do my work. If my wife had not given me these meals, I would be physically dead today. Likewise, if I had not gone to church for nourishment, I would be spiritually dead today!" When you are DOWN to nothing. . . God is UP to something! Faith sees the invisible, believes the incredible and receives the impossible! Thank God for our physical AND our spiritual nourishment! That's right. Whatever we do here should be done in a way that is understandable to the largest number of people. That's why Paul says that speaking in tongues should not be allowed during worship unless there is an interpreter. For someone to stand and go into emotional ecstasy may be very meaningful to that person but not for the rest of us. For the preacher to give esoteric lectures more appropriate for a classroom of doctoral candidates is of very little help to the average worshiper. It is my responsibility to grapple with the deep things of God's Word and to express them in ways that are understandable. I try to be a student of life and reflect as deeply as possible on some of the ultimate questions. However, I have what I trust is a deep God-given concern that I not over-complicate the simple truths of God's Word. My goal is to declare the Gospel in a way that is understandable and can speak to as many people as possible. In our adult education program, we try to give a potpourri of courses, some of which put the intellectual goods on the highest shelf possible for only twenty or thirty persons who may be able to function at that level. There are persons gifted to do that, speaking understandably to that element who can profit most from that highly intellectual approach. However, the pulpit utterances of this church, I believe, must be made in a way that the average person can understand what is being said. When a person comes out of church saying that the sermon was brilliant but I see confusion in their eyes, I've failed. The task is not to be known as a clever rhetorician, a brilliant philosopher or a person of scintillating poetic utterance. My calling and your calling is to be men and women of God, communicating understandably the Word of God in a way that is motivated by the agape love of Jesus Christ. The same goes for the music we use in worship. I happen to love classical music. If I had to buy five last CDs, probably three of them would be classical and two would be jazz. I've discovered that not everybody agrees with me. When our three daughters were still at home, I could tell who had last driven the car by the radio station to which it was tuned. My music doesn't speak to every member of my family, nor does their music speak to me. That's why here at St. Andrew's we try to have a music ministry that is eclectic. We have our Saturday night contemporary worship service without organ and choir, lead by a praise team and worship leader. That's why on Sunday mornings we integrate into our service music styles that hopefully communicate to as many persons as possible, with the realization that we are committed here to being a cradle to grave church. We are not intentionally trying to niche-market to one age demographic in a music idiom that is intentionally, exclusively to their liking. 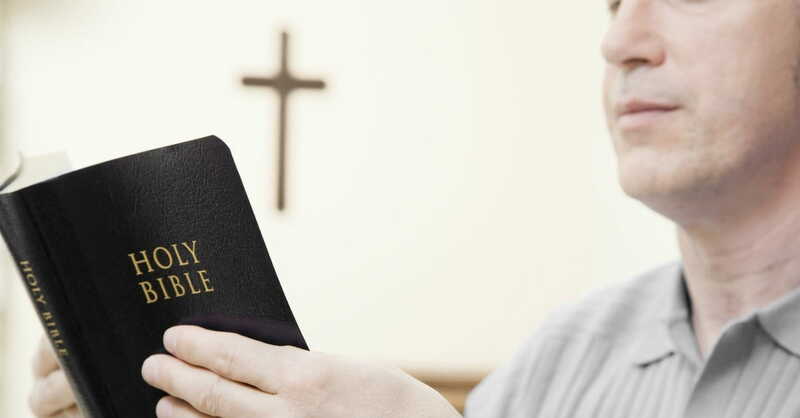 For some of you, you prefer to not even look at the screens and still hold a hymnal in your hands, preferring the traditional hymns of your youth. For others of you, you find that boring and identify with the more contemporary expressions of praise music undergirded by the basic primal beat of the electric guitar and drums. We haven't figured it all out. But we're trying to conduct our worship, both in its preaching dimension and in its participatory music dimensions, in a way that is understandable and appreciated. One of the key elements of this chapter is Paul's appeal to order. He writes, ". . . for God is a God not of disorder but of peace" (1 Corinthians 14:33). He also writes, "So, my friends, be eager to prophesy, and do not forbid speaking in tongues; but all things should be done decently and in order" (1 Corinthians 14:39-40). This has been an age-old struggle in the Christian church — how to find the right balance between order and ardor. There are some churches that stress ardor with visible expressions of emotions, even physical involvement in the waving of arms, the rolling in the aisles and the ecstatic utterance of speaking in tongues being central to the worship experience. There were some in Corinth. Paul is not one to minimize ardor. Participation was one of his crucial elements for worship. However, confusion must not be mistaken for participation. As Presbyterians, if anything, we perhaps make too great an emphasis on order. However, as I was reading this passage of Scripture, it would be better to err on the side of order and understandability than on the side of confusion and disorder. Paul illustrates the importance of order with two very frank references. The first matter is the matter of speaking in tongues in the worship service. We have already seen how he disallows this. This is a tough word to hear in the age we live. Some have tried to color Paul as a male chauvinist for having written such a thing. Others have defended him by saying that he didn't write it, and it was inserted by later "redactors." Others have accepted this as definitive teaching and implemented it uncritically. In my view and that of many other scholars, teachers and preachers, Paul did write this. But it wasn't his final statement on the women's issue. You would have to bring together the entire teaching of the Word of God to establish a theology of women in the church. This same apostle Paul has just written in 1 Corinthians 11:15 in a positive way about women praying and prophesying. This same apostle Paul invested great confidence in the leadership of Lydia, Priscilla and other women as he founded new churches. Elsewhere, he radicalized first-century thinking by declaring that in Christ there is "no male nor female." In terms of marriage, he articulates a philosophy of "mutual submission," while at the same time, he stresses the importance of men not abdicating their leadership in the home or in the church. The fact of life in the first century was that women functioned in very subordinate roles to men. The Greek Sophocles said, "Silence confers grace upon a woman." Women, unless they were very poor or very loose in their morals, lead a secluded life in Greece. The Jew had even a lower idea of women. "As to teaching the law to a woman, one might as well teach her impiety." It was to "cast pearls before swine." The Talmud lists among the plagues of the world "the talkative and inquisitive widow and the virgin who wastes her time in prayers." It was even forbidden to speak to a woman on the street. "One must not ask a service from a woman or salute her." It was in a society like this that Paul wrote. Travel with me today, and I will take you to the Wailing Wall where men and women are not, even in the twenty-first century, allowed to worship in the same area. Not much has changed in Orthodox Judaism in the last two thousand years. Then I'll walk you into the Arab quarters, and there will be women still wearing veils — symbols of their dowery and ownership by their husbands. Paul wanted to be certain that the Church was not hurt by some women who were taking their newfound freedom in Christ and exercising it in a way that was disruptive of worship or was scandalizing to the Christian community. It is excess to which he is referring. One can hardly imagine, in the light of the rest of Paul's teaching and far less in that of the subsequent development of the church, that these few lines could possibly represent his final judgment in teaching on the place the devoted woman should take in the life of the Church. Anyone who wants to build arguments against the ordination of women, wants to relegate women to a position where they must keep silent in the church, is quoting this passage totally out of context. What this passage is saying is that all things should be done decently and in order. Five strong words that are important when it comes to worship: Intentionality; Participation; Edification; Understandability; Order. These five are to be undergirded by agape love! John A. Huffman, Jr. is Senior Pastor of St. Andrews Presbyterian Church in Newport Beach, CA.